Product prices and availability are accurate as of 2019-04-19 18:11:56 UTC and are subject to change. Any price and availability information displayed on http://www.amazon.com/ at the time of purchase will apply to the purchase of this product. Bring a bit of enchantment into your castle with this dreamy switchplate cover. Highly detailed and brightly colored, this lovely accent will encourage dreams of faraway places. 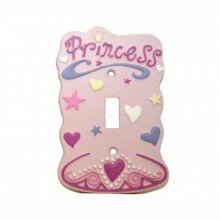 Sure to delight your little princess. Perfect in a bathroom, bedroom, or playroom. Made of textured resin with vibrant coloring. 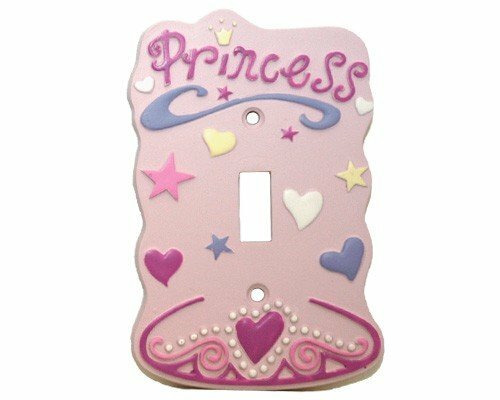 Measures approximately 5" x 3.25" and fits any standard SINGLE LIGHT switch plate. Installation screws included.